[S1138] Source: Email message from Debbie Cubbedge (e-mail address) dated 09 November 04. Ringgold Wingfield Cocke Jr. was born on 21 November 1896 at Ellendale, Terrebonne Parish, Louisiana. He died on 19 October 1953 at age 56. Anne Saunders died on 22 September 2009. [S305] Tombstone inscription., Tecumseh Cemetery, Tecumseh, Pottawatomie County, Oklahoma. Anderson A. Rawlins was born on 4 September 1908. He died on 3 February 1988 at age 79. He was buried after 3 February 1988 at St Helen's Cemetery, St. Mary Parish, Louisiana. 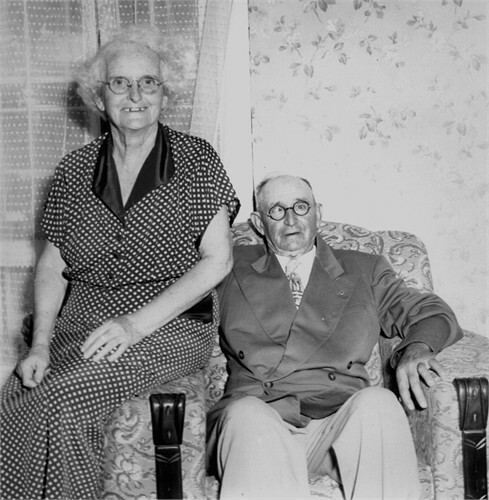 Myrtle Meadows married John Terrill Porterfield, son of John Moler Porterfield and Annie L. Green. Myrtle Meadows was born on 21 April 1893. She died on 24 January 1978 at age 84. She was buried after 24 January 1978 at Zion Episcopal Church, Charles Town, Jefferson County, West Virginia. Bobby Wayne Tabb was born on 7 October 1961 at Texas.1 He died on 8 October 1961; Died as an infant. He was buried after 8 October 1961 at Mount Hope Cemetery, Anson, Jones County, Texas. John Perkins was born. He died circa 2010. Barry Mullinax died. He was born. He married Elaine Tabb, daughter of James Kenneth Tabb and Rosalie Yancey. Harmona (Mona) Tabb was born on 2 October 1885 at Kentucky. She married Rola Thomas Shipp in June 1902. Harmona (Mona) Tabb died on 2 January 1974 at Mumfordville, Hart County, Kentucky, at age 88. George Watterson Tabb married Margrette Melvina (Mel) Druen. George Watterson Tabb was born on 22 May 1889 at Hart County, Kentucky. He was buried after 25 October 1966 at Red Hill Cemetery, Hodgenville, LaRue County, Kentucky. He died on 25 November 1966 at Hodgenville, LaRue County, Kentucky, at age 77. 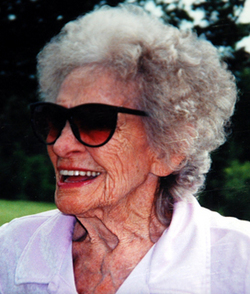 Nellie M. Tabb was born on 19 July 1891. Rola Thomas Shipp was born in 1878. He married Harmona (Mona) Tabb, daughter of Albert Gallatin Tabb and Sarah Frances Middleton, in June 1902. Rola Thomas Shipp died in 1954. Hope Ireland Kees was born on 1 February 2001 at Loma Linda, California. She died on 4 February 2001 at Loma Linda, California. [S1097] Source: Chris Harris (e-mail address) in an email dated 22 August 2011. James Tureaud Wallis was born in 1869 at New Orleans, Louisiana.1 He married Mary Deans Mayer, daughter of Lewis Mayer , Sr. and Mary Virginia "Jennie" Deans, on 4 June 1896 at Gloucester, Gloucester County, Virginia.1 James Tureaud Wallis died in 1930. Meta Elizabeth Hartwig married John Richard Bird, son of Robert Tabb Bird and Emmaline Thompson. Meta Elizabeth Hartwig was born in 1880. She died in 1972. John Richard Bird Jr married Edwinna Julia Kaufman (?) John Richard Bird Jr was born on 3 August 1906 at St. Louis, St. Louis, Missouri. He died on 9 March 1969 at Santa Ana, Orange County, California, at age 62. He was buried after 9 March 1969 at Fairhaven Memorial Park, Santa Ana, Orange County, California. Edwinna Julia Kaufman (?) 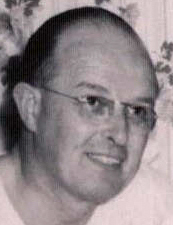 married John Richard Bird Jr, son of John Richard Bird and Meta Elizabeth Hartwig. Edwinna Julia Kaufman (?) was born in 1911. She died in 2002. Virginia Underwood married Benjamin West Tabb, son of William Shields Tabb and Susan Ann Turnbull. Virginia Underwood was born on 14 March 1883. She died on 20 February 1959 at age 75. She was buried on 23 February 1959 at Hollywood Cemetery, Richmond, Virginia. Grace Tabb was born in April 1858. Thomas Newton Armstrong III was born on 30 July 1932 at Portsmouth, Virginia. He died on 20 June 2011 at Manhattan, New York, at age 78. Sarah Lanier Tabb married Thomas LeRoy Oliver. Sarah Lanier Tabb was born on 21 September 1902 at Portsmouth, Virginia. She died on 28 June 1980 at San Mateo, California, at age 77. Thomas LeRoy Oliver married Sarah Lanier Tabb, daughter of Calvin Hill Tabb and Margaret Lee Neville. Thomas LeRoy Oliver was born on 8 August 1902 at Norfolk, Norfolk County, Virginia. He died on 3 February 1993 at Norfolk, Norfolk County, Virginia, at age 90. He was buried after 3 February 1993 at Forest Lawn Cemetery, Norfolk, Norfolk County, Virginia.